Quick one today. Easy as pie. 1. 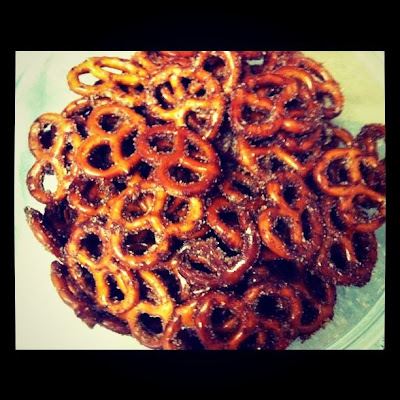 Place pretzels in bottom of roasting pan (or baking pan). I just used a Pyrex dish. 2. Mix vegetable oil, sugar, and cinnamon in bowl. Stir until evenly mixed. 3. 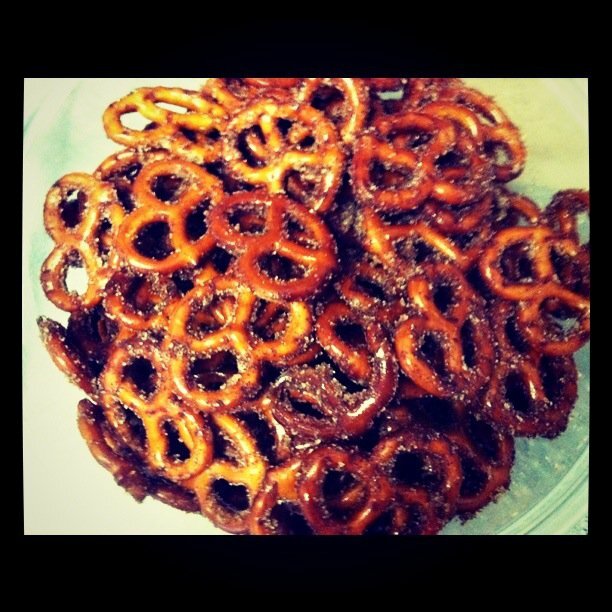 Immediately drizzle mixture over pretzels and stir well. 4. Bake in pre-heated 300 degree oven for 30 minutes, removing twice to stir. 5. Let stand for 5 minutes to cool. Oh my goodness, these look like heaven. My husband will love these. Can't wait to try out! yummy! i want to go make those now!